To understand Chicago as “Chiraq,” you must understand the gangs/organized crime element of the city. 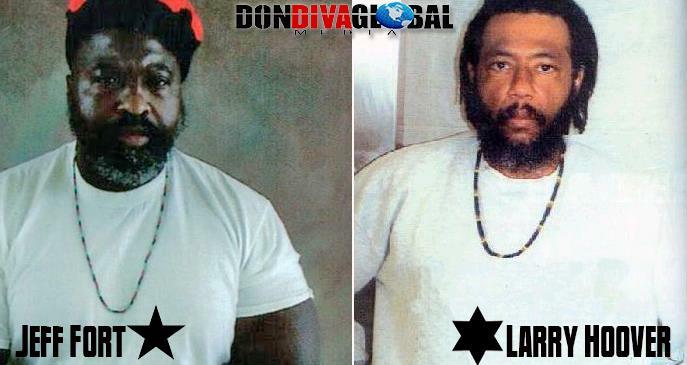 Two names that come up immediately in Chicago gang history are Larry Hoover and Jeff Fort. Seen as the “Godfathers of Gangbanging” Hoover was “King” of the Black Gangster Disciple Nation a.k.a. the Folks Nation, and Fort lorded over the Black P Stone Nation. The two have been locked down in ADX Florence supermax prison Hoover is serving six life sentences for a 1997 conviction of conspiracy, extortion, money laundering and running a continuing criminal enterprise for leading the gang from state prison. Fort is down for 80 years based on conspiracy and weapons charges caught in 1997 for plotting attacks in America in exchange for weapons and $2.5 million from Libya. 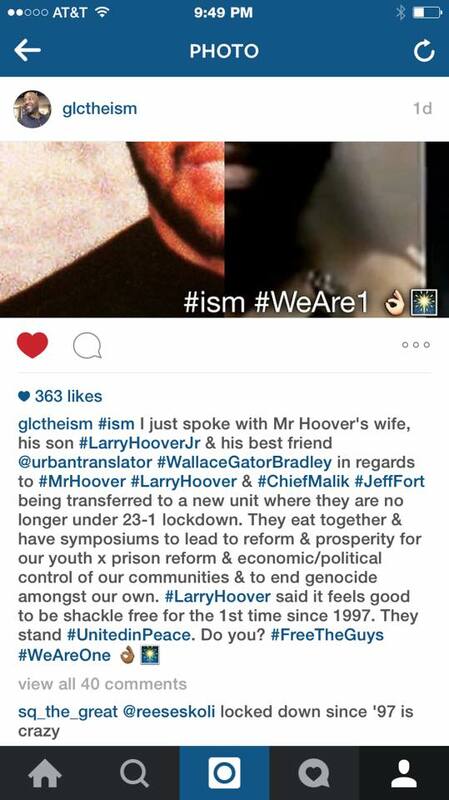 Chicago rapper GLC has confirmed that Hoover and Fort have been transferred out of 23 and 1 lockdown. Furthermore, GLC reports that Hoover and Fort, former rivals have been sitting down to lunch together and leading joint symposiums that promote prosperity and growth. For a little background, Chicago regarded by many to be the birth place of inner-city gangs or organizations. In Chicago, in the early 60’s, the two top gangs were Jeff Fort’s Blackstone Rangers (later to be called the P. Stones or El Rukns.) and David Barkdale’s Black Disciple Nation. Larry Hoover was running an independent unit, the Gangsters, and both Fort and Barksdale vied for his army to come under their respective umbrellas. Fort approached Hoover first, but Hoover didn’t like the deal and declined. He did accept Barksdale’s offer, which included a position for him as “co-King” of the Disciples. Thus, the Gangster Black Disciples were born. Hoover and Fort were rivals, naturally, after these events. So, for them to be sharing meals and leading workshops together is monumental. Hopefully good things come forth from this. They both will make a change in the city……to curb some of the violence. respectively, these two men have come a long way………….i believe in reform and a positive transition for theses two………and allah can make that happen. August 25,2015 they did eat lunch together. And said it felt great to learn how to walk again…. Free my KinG!!! 7-4 Til Tha World Blow. 7.4.1.4. B.O.S. ADX Florence is a 23 hour a day Super Max Federal Prison……I highly doubt they let inmates eat lunch together, your story is suspect. Where did you get this “info” ? Sounds suspect……..